The Raith Supporters Trust are delighted to announce their next event, the 4th Annual Raith Trust Burns Night! 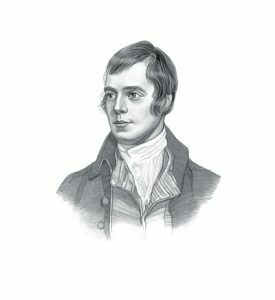 The Burns Night will be held at the Dean Park Hotel in Kirkcaldy on Saturday 27th January 2018. The evening will consist of a 2 course Burns Supper, Piping in the Haggis, Address to the Haggis, interviews with some weel kent faces, music, poetry, readings, and of course the big Burns Night raffle and auction. Special guests will be announced shortly and there will be a few surprises on the night. Anyone that has been to the Burns Night events in the last few years will testify that this is a great night out – fun, football and culture all combined! If you’d like to come along and perform a reading, sing a song or anything else, come and see us at the Trust Table on match days or email us at events@raithtrust.org.uk and we’ll get you on the bill – we’re always looking for volunteers to stand up and perform a turn! This is of course, also the ideal Christmas present for the Rovers in your life…. On Sunday 22nd October, a memorial match will be played at Starks Park in aid of Diabetes Research & Wellness Foundation. The match will be in memory of Aidan Sutherland, the young Raith Rovers fan who tragically died recently. Please come along and enjoy the match, support a great cause, and remember Aidan. Following the Supporters Direct AGM on July 2nd, Supporters Direct Scotland (SD Scotland) are pleased to announce SD members voted unanimously in favour of SD Scotland incorporating locally in Scotland. The new organisation will be run and.directed from within Scotland and all football activity including SD Scotland’s work supporting Supporters Trusts and organisations, Supporter Liaison Officers and the Scottish Supporters Network will be transferred to this new organisation which is to be established and registered as a Community Benefit Society and owned by its Scottish members. The new organisation will incorporate a new governance structure which will reflect the wide scope of its current activity and allow SD Scotland to serve its membership and mission with the SD Scotland Council becoming the Board of the new entity. The revised structure will also encourage and allow for individual membership and participation. The SD Scotland Council anticipate incorporation will allow SD Scotland to continue and grow the level of support and representation it offers fans and communities across Scotland. SD Scotland are the fans representatives on the Board of the Scottish FA Congress and have been working with Scotland since 2003, assisting in the creation of over 30 community sport organisations in the process. 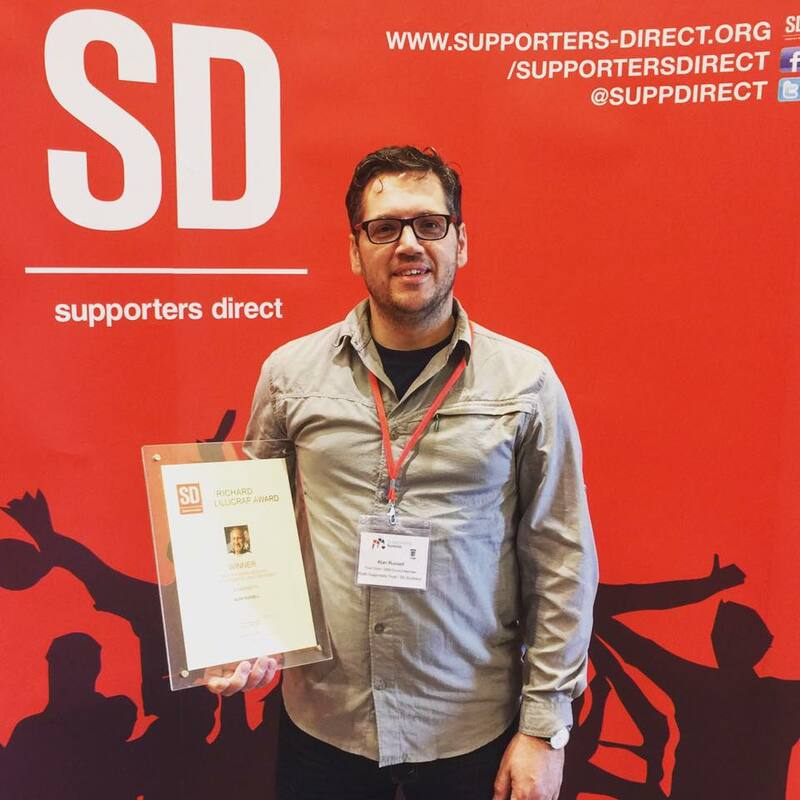 Andrew Jenkin, Head of SD Scotland, said: “This is an exciting time for SD Scotland. We’re undertaking a greater scope of work supporting fans and their representation within clubs than ever before. This decision will enable us to continue to grow the level and quality of activity we’re undertaking on behalf of our members and fans, with our influence and reach never greater”. SD Scotland will continue to participate in the UK football agenda and will maintain a structured relationship with SD which sees both organisations extract the benefit of working together, but with autonomy. SD Scotland will be working through a transitionary process with the aim of having the new structure in place by the end of 2017. The Raith Supporters Trust have been advised of the initial discussions between Starks Park Properties Ltd and New Raith Rovers Ltd regarding the proposed changes of ownership at the football club. We share the concerns of the boards of both companies that the football club must live within its means sustainably and play a long-term active role in the Kirkcaldy community. Relegation has brought additional financial pressure to the club, which was already struggling to thrive in challenging economic circumstances. We intend to play as active a role as possible in ensuring that Raith Rovers navigates these challenges, and are open to discussing how best to achieve this. Supporters trusts will always be wary of situations where one individual can control the direction of the clubs we love; even with owners who have the best of intentions we have seen the dangers of this model play out in front of us. In our discussions over the coming weeks we will stress the need for permanent safeguards to be built into the structure of the club and its associated companies to protect Raith Rovers against this. The supporters’ place on the board of the football club exists due to the hard work and generous financial contributions of Raith Rovers fans over the years. The Trust’s shareholding is owned on behalf of all supporters, whether they are members of the Trust, other supporters groups, or just as individual supporters whose contributions helped us to secure our voice in the Starks Park boardroom. We believe that it is imperative that the Raith Rovers supporters’ voice continues to be heard and that the wishes and concerns of the fans are fully considered in any changes to the structure and direction of the football club. Alan Russell, chair of the Raith Supporters Trust, recently received the Richard Lillicrap Award for Outstanding Services to the Supporters’ Trust Movement. Alan is the first Scottish recipient of the award which was established to remember the legacy of Richard Lillicrap, a Board member at the Swans Trust who was passionate about helping supporters and Supporters Trusts with their aims and ambitions for representation within their club. Alan received the award for his work in developing the SD Scotland Index, a document which offers transparency on who owns what within Scottish football and how clubs are engaging with their fans. The Index looks at the breakdown of ownership and governance at every SPFL club. 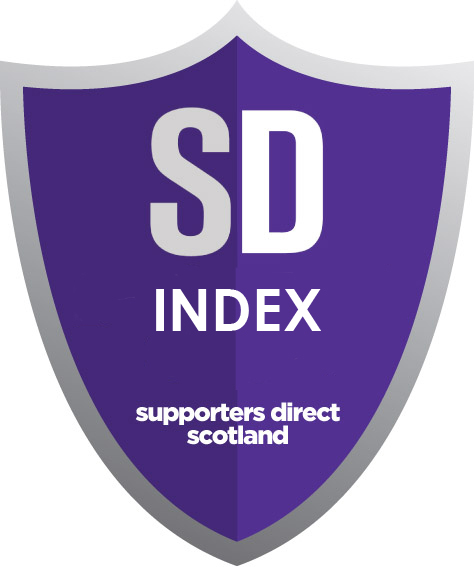 Supporters Direct Scotland (SD Scotland) have released the findings of their first index into the governance and ownership of clubs in the Scottish Professional Football League (SPFL). The index builds on a Working Group Report on Supporter Involvement in Football Clubs (made up of the SFA, SPFL, Supporters Direct Scotland, Scottish Government and Sportscotland) which provided recommendations on reducing barriers to further involving fans within their clubs. Some of these recommendations were ultimately not accepted or pursued by clubs, but are still regarded by SD Scotland as good practice, and have been used as the basis for the SD Scotland Index. The SDS Index can be viewed here. 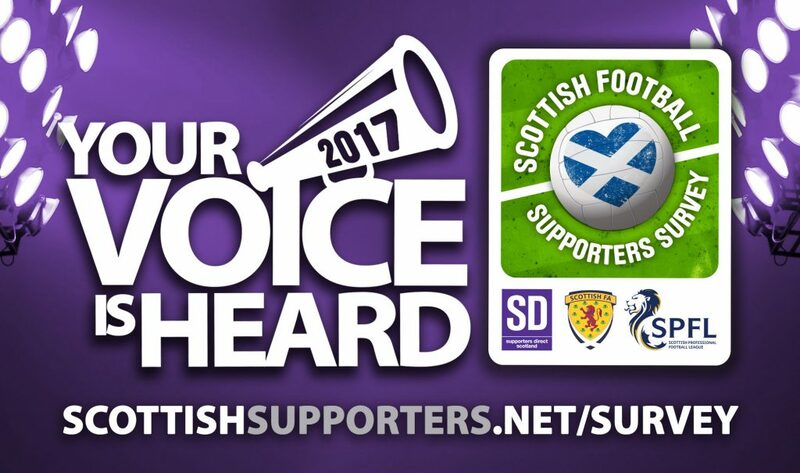 5 Days Left To Complete The 2017 Scottish Football Supporters Survey! Go to http://www.scottishsupporters.net/complete-the-2017-scottish-football-supporters-survey/ to add your views to the survey, and by submitting your email address along with your response you could win 2 tickets to the Scotland vs England match at Hampden on 10th June!